Soas (Sugar on a Stick) is a LiveUSB system with sugar on it. It is based on Fedora. You can carry it and boot anywhere as you want like any other live system. You can download the ISO from here. I was using it on a Eee PC (4GB model), suddenly thought of installing it on the system. The other Fedora based systems have an option on desktop to install on hard disk, but this system is running sugar so no desktop means no such option. From the #fedora-devel I found the command is “liveinst” which is part of anaconda. If you want any help come to #sugar on freenode. 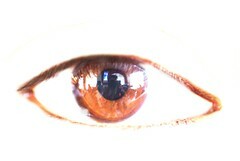 Also found the third eye: Can you find me in that ? We talked and talked and kept on :) foss.in is a great event to meet all your friends and I love that part a lot. In day 1 after reaching the venue as we were standing just outside the main gate other speakers also started coming. Pradeepto landed with Sharan, Adriaan and Sayamindu were also there. We all went together towards the 750 hall for Harald’s keynote which was as good as expected. After the keynote we all moved out, the kde-in local team (BMS lug people) also joined us and managed to setup the KDE stall with full of awesome posters including amarok posters :) We, the fedora people also sat down on the ground in the same stall and as they ran out of CDs I started putting Fedora 9 live CD to distribute. Rest of the day we just talked on everything. All other friends also came and joined us there. The hot topic of the first was the kde handbook. After the day ends we started moving out. At night I went through the details for my talk. The second day started with Sayamindu’s talk on “Coding for education, coding for the last one billion”, this talk helped me personally a lot as I was not so much familiar with Sugar. He started with very basic details on Sugar and went on to the code level. After that we again came to the stall and put the XO(s) on the desk , Sayamindu was carrying two and I carrying one from office. It suddenly became a huge crowd puler as everyone was too much excited to see those little green wonders. We also distributed lot of stickers and live cds. My talk was scheduled just after lunch on the same day on “Getting Started with OLPC Activity Development” and this time I made only one jpeg image as slide (which I forgot to show anyway). I started vim and started to talk :) Within my talk I also copied code from Sayamindu’s Imageviewer and used it in my Jukebox to add a new feature. The talk was too much code oriented and no one asked a single question in the end. The review-o-matic workout was also started in the same time of my talk, my only contribution in that workout was giving git commit rights to rishi. tuxmaniac also joined the group from 2nd day. Next day was full of KDE, we had some superb entry level talks on different parts of KDE and some high level ones also. Me and Soumya already made a plan to work on maps for Kgeography (Soumya made total 3 which I need to commit) and sat down in the stall with others , OLPCs were working as crowd puller anyway :) Someone suddenly came and told that he liked my talk :) Susmit also joined the Fedora team that day. At night we all went together to “Rasa” for dinner. Veg and Non veg people sat in different table and somehow we managed to make a hilarious scene while dividing the bill. Day 4 we spent while chasing people with video camera and doing interviews and funny interviews :p . Again almost the whole day was spent in the stall , somehow people were really less in that day. Everyone was tired on day 5 (usual story in the last day of any event). Kalyan’s end keynote was really mind blowing. I am trying to put the video up somewhere. The full photo set can be found here. 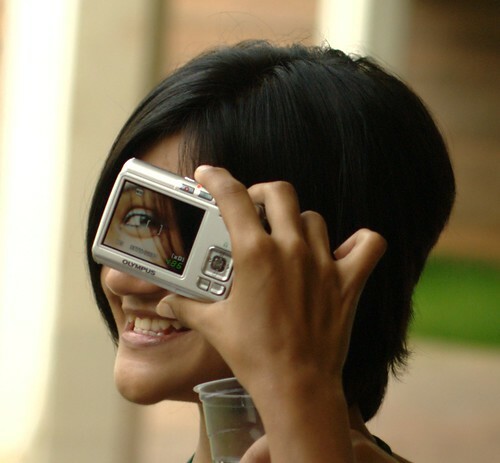 Also read Sayamindu’s report and Soumya’s report. You can find my event report here (11MB). This is my first try to make something like this. Nicu helped a lot with my poor spelling mistakes. Comments are welcome. So another FUDCon in India after two years :) Join us in FUDCon @ foss.in on 28th November , 2008, city Bangalore,place IISC auditorium. Me and Rahul Sundaram jointly proposed the FUDCon at foss.in and we are in a continuous communitation with foss.in team so that everything goes smoothly. 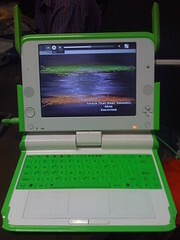 I am giving a talk on “Getting Started with OLPC Activity Development”. In this talk I will do a post mortem of a simple “Hello World!” activity. The activities are written in Python and they run on Sugar. So if you want to jump start into the development on this beautiful platform join us there :) Btw, there will be another talk on Sugar by Sayamindu in FUDCon. Me and Soumya will also try to gather more people to test KDE packages on Fedora. More details about FUDCon will come in the future posts. If you think in the other way, please read this blog post. On a sidenote: I released a new version (v4) of Jukebox-activity with bn_IN translation. This new version is having .pls playlist file support, so with proper plugins you can play internet radio stations. 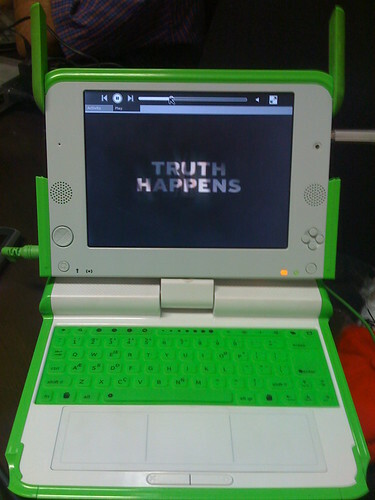 Want to play your favourite song/movie on OLPC ? So, if you want to play your favourite song/movie on OLPC use Jukebox.activity. Started working on this for the last few days after Sayam pointed me to the activity. It was almost in a stagnant condition. My PyQt mind was someway different than writing this PyGtk stuff :) Sayam helped a lot. Internet radios through m3u files. If you want to start writing your own activity , start from this.